Q. Is it ever okay to include which stores and websites I’m registered at on my wedding invitation? A. The simple answer is no. No, no, no. In fact, Persnickety avoids listing the registry information on ANY of the pieces of an invitation set, including the details card. Listing it is like nails on a chalkboard for us! And here’s why. It’s customary that anyone who is invited to your wedding, whether they can attend or not, brings or sends a wedding gift. That is just one of those unspoken rules of weddings that goes back hundreds of years! However, if you place the registry information on your invitation or one of the insert cards, it appears demanding, as if you are expecting a gift and totally ignoring the guest themselves. There is also almost no way to avoid it appearing tacky and ungrateful, no matter how carefully it is worded. So where is it acceptable to list registry information if you shouldn’t put it on the invitation? These are Persnickety’s top 3 options. 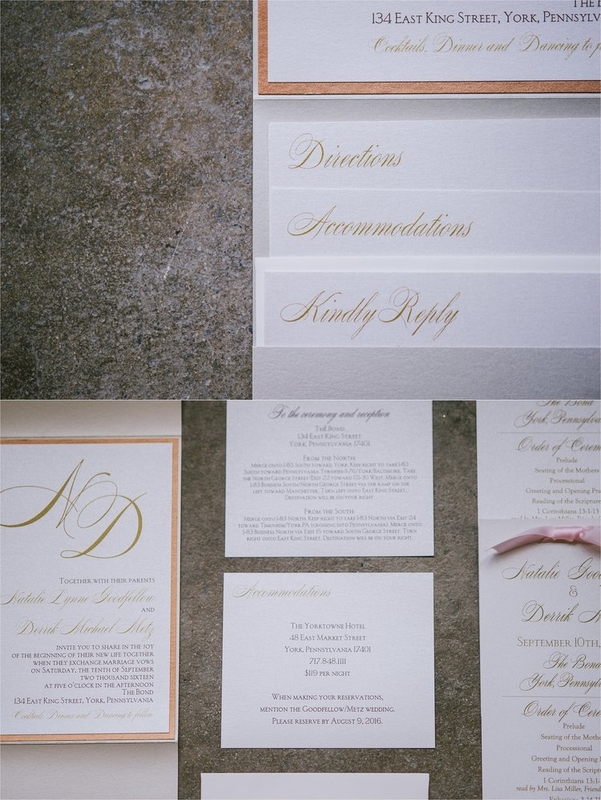 The details card is a great way to get the word out about your registry, because this is where you wedding website (and registry details) appears. We never recommend listing the stores and websites where you are registered on the details card itself, but it is absolutely okay to list the URL information for your website that will lead guests to your registry. That way, you can put all the details about your registry on your website so guests know where to go, and it steers clear of your invitation at the same time. 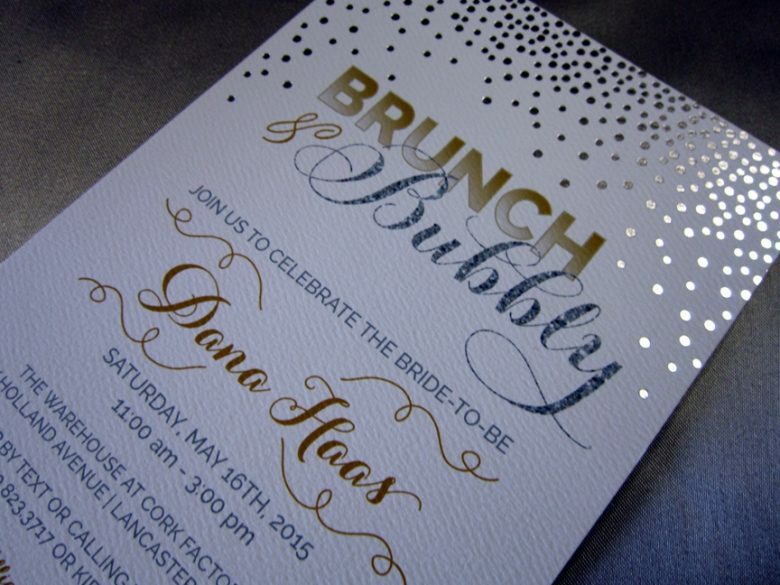 Loving on these silver confetti dots for Dana’s custom bridal shower invitation! The bridal or couple’s shower invitation is the exception to the registry rule. It is acceptable to directly list where a couple is registered, as long as this appears at the bottom of the shower invitation. If there is a bridal or a couple’s shower in the works, this is the best way to get the word out about the registry. This one can be a hard pill for brides to swallow, but word-of-mouth is the politest way to let your guests know where you are registered. It has been done since marriages began, even before the invention of a wedding website! If you are not planning on creating a website or having a shower, this might be the most acceptable option for you. Have further questions about how to let your guests know not only your registry information but wedding details in general? Schedule your appointment with Persnickety here! We’d love to help. 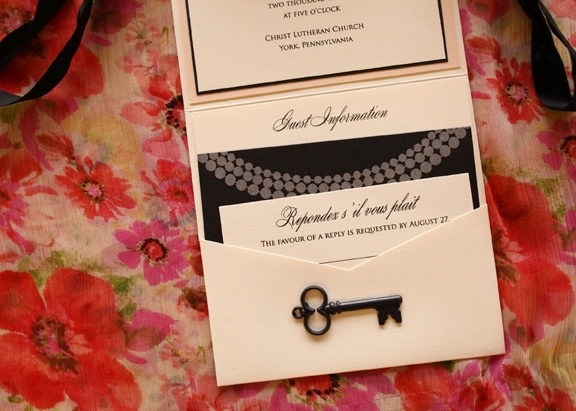 Are Custom Invitations Right for Your Wedding? this is all helpful advice!